Phut Phut Phut is what it sounded like. A seemingly harmless noise coming from somewhere around me, almost similar to what came from the Morse code telegraph machines in the post offices of olden days. It was 7th of July, in the afternoon, when I was preparing to post something interesting for you folks, some nice music that I thought you all would love to listen. Before I could understand the meaning of the sound it was all gone. The sound was coming from my 6 month old 320 GB Seagate FreeAgent Go USB 2.0 Portable hard disk. I immediately pulled off the cable and tried to plug it again. The Phut Phut sound was no more there and I sighed with relief. Maybe it was nothing but a temporary glitch with the hard disk, I thought. After all it was a Seagate drive and almost a new one at that. Click Click Click it sounded again, a low volume sound just like the ticking of a wall clock and I went numb with fear. My worst of nightmares came true. Yes, it was COD (click of death), as it is known in the techie world. My hard disk was dead. All the songs were gone forever. It was only a few months back, that I thought it was a good idea to put all my songs collection, scattered all over into small capacity hard disks, into a new and bigger hard disk. I went for the best brand in the market, Seagate that is, and moved all the songs, some 60,000 of them (300 GB), into this one. I then moved all the useless crap spread all over my computer into the smaller drives. Backup, Backup and Backup is the mantra of the digital world and I was foolish enough to have ignored it. I can only curse Seagate, for producing such inferior products and also myself for not listening to the digital mantra all these years. I am now left with the useless crap that I thought at that time, was a wise thing to store in the smaller and older (but more reliable) hard drives. Of course Seagate will replace the hard disk with a new one, but minus the songs. Moral of the story : Always keep two copies of your data, but on two different brands of disks. 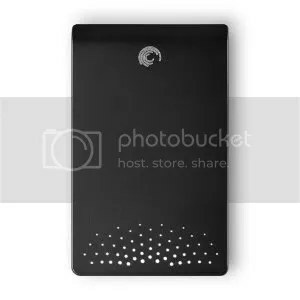 Jackass of the year : I bought a brand new disk today, again a Seagate FreeAgent Go (this time 500 GB). Also waiting for the replacement of the dead disk from Seagate. That makes a total 820 GB. Wow!